Graphics for The North Face Early Spring 2019 logowear apparel; designed for everyday, lifestyle wear. This collection was inspired by 60’s Swiss design and outdoor imagery that pay homage to the company’s heritage from Yosemite Valley. The theme was inspired to pay homage to the early 1970's North Face catalogues where the soul of our brand DNA began. 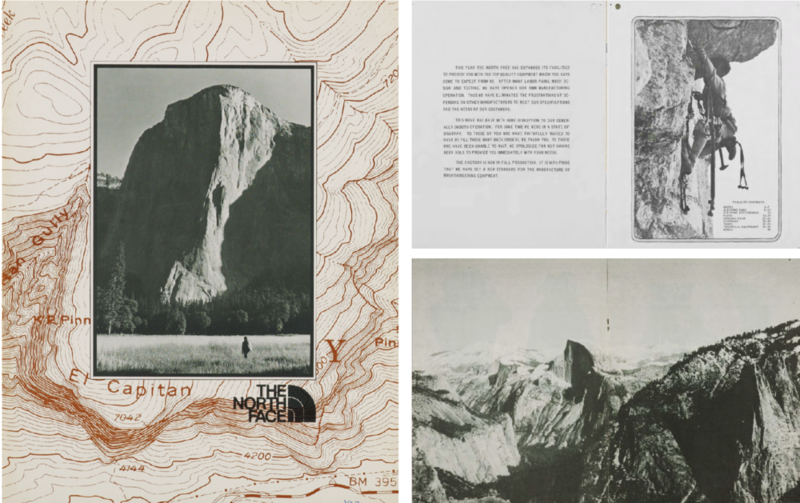 The heart of rock climbing culture was based in Yosemite Valley; most of the catalogue spreads would feature these vast landscapes. All of the graphics were built upon a group of key assets that told a cohesive visual story. Besides the photoreal component, these icons represented the outdoors symbols of wayfinding, which dovetails to our core motto "Never Stop Exploring".